(2009) Scunthorpe II; (2010) Dudley, Bournemouth; (2011) Stoke. James started his career with Sheffield as their mascot. Joined Scunthorpe in 2009 at sixteen years old, he rode in the Saints team up until May but was then left out in favour of the more experienced Scott Richardson. He returned to the side a few weeks later soon after that he broke his arm in a second half spill at Belle Vue and was out again. He returned to the Saints team in July replacing Byron Bekker. He made fifteen official appearances for the club, scoring 61 points for a real-time average of 4.83. 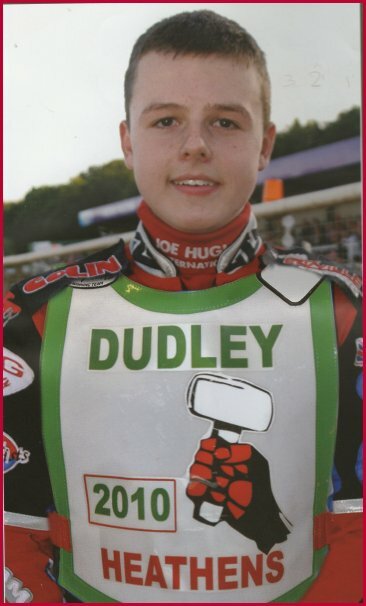 James was signed by the Dudley Heathens in February 2010. He stayed with the Heathens up until 21st July when he actually had his best score with 7 paid 9 from 4 rides against Isle of Wight at Perry Barr. He made way for Australian Mickey Dyer to join the Heathens. James joined Bournmouth in August 2010 but was injured at Sheffield in September in the Ozchem Trophy with a hand injury he was detained in hospital overnight. He returned before the end of the season to complete four meetings in total for the Southern club. He was named in the Stoke team in 2011 and rode 30 matches for them scoring 230 points for an average of 6.34. In 2013 he joined Coventry Storm and had his best season to date.